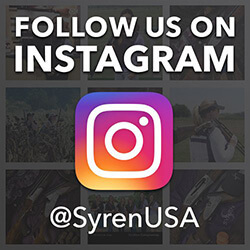 Lynne Green, Syren Brand Manager will be on location to help with demo guns and to conduct fitting clinics for the shooters. There will be Caesar Guerini and Fabarm demo guns available also. Caesar Guerini/Fabarm/Syren dealer on site also. There will not be any gun-smithing services available for this event.